Your Casablanca Sightseeing Tour will startaround 09:00 AM, you will be picked up from your hotel in Casablanca by your driver and you will drive to El Jadida where you will be welcomed by your English speaking guide and enjoy an interesting port city along the coast for a full day tour. One of the most popular Day trips from Casablanca, the Casablanca Sightseeing Tour is what you sould do if you’re strange to the biggest city in Morocco. Meet your guide at your hotel and start an explorative guided city tour of Casablanca, This port city suffered a serious decline until the French, when they turned Morocco into their Protectorate in 1912, decided to restore it and built large avenues, public parks and imposing Moorish-style civil buildings. 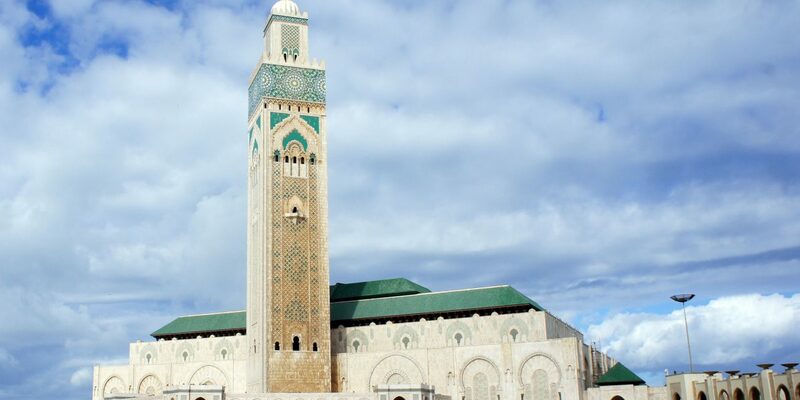 The medina or old quarter of Casablanca is worth a visit, and the Hassan II mosque is one of the largest in the world. In Mohammed V Square you will find the most impressive examples of Moorish architecture. Stroll along Habbous district with its small squares and narrow arcade streets, a fine example of successful adaptation of modern town planning in style of a traditional Medina. You will see many shops displaying articles for sale to both locals and tourists. Casablanca shares the Mohammed V airport with Rabat, in which scheduled flights are scheduled to and from Europe and the Middle East. “End of the Casablanca Sightseeing Tour”.